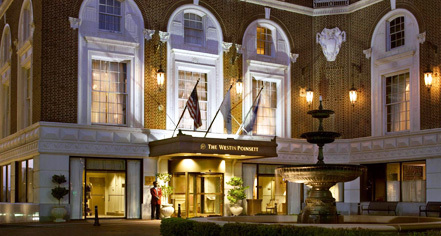 According to Esquire Magazine, The Westin Poinsett is 'where every Greenville girl dreams of getting married.' With stunning event spaces set the stage for picturesque backdrops and, weddings at The Westin Poinsett are guaranteed to create endless memories to ensure an unmatched affair. In the Gold Ballroom, authentic crystal chandeliers are suspended below soaring, gilded ceilings to create an enchanting ambiance during the unforgettable celebration. And romance flourishes in the Poinsett Ballroom, featuring lush drapery and rich tones that complement almost any color scheme. 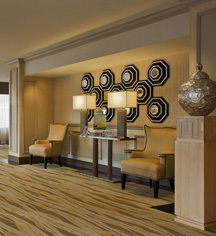 The expert planners at The Westin Poinsett will work to ensure every need and desire is met on for the big day. Associates are eager to arrange every detail, which can include a memorable rehearsal dinner at the chic Spoonbread Restaurant, a bridal party gathering at River Falls Spa next door, or a horse-drawn carriage ride for the bride and groom. Guests will delight in all the beauty and activities Greenville has to offer.